Everyone feels stressed out sometimes, but if you don't keep your stress level in check, it could become overwhelming. Studies have shown the benefits of lowering stress , and that high levels of worry and stress can negatively impact your health. In 2010, researchers at the University of Rochester School of Medicine found that people with higher job stress also had a higher body mass index (BMI) than employees with less stressful positions. A 2006 study from Tel Aviv University in Israel showed that workers who experienced high stress levels were 1.8 times more likely to develop Type 2 diabetes. And another 2006 study from the University of California at San Francisco showed that stress-triggered hormones could worsen or even cause skin disorders such as psoriasis and eczema. Feeling stressed out over your stress levels yet? Here are 11 tips to help you live a little less stressed. Yoga not only keeps your body in shape and improves flexibility, it also helps you cope with stress and lower inflammation. Inflammation is an immune response that can be beneficial, such as when your body is fighting off infection, but chronically high levels of inflammation have been tied to health problems such as cardiovascular disease, asthma and depression. A 2010 study conducted by researchers at Ohio State University showed that when yoga experts were exposed to stressors such as dipping their feet in ice water, they experienced less of an increase in their body's inflammatory response than yoga novices who were subjected to the same stressors. Getting adequate sleep doesn't just make you look better, it also improves your health and helps you stress less, according to the Centers for Disease Control and Prevention (CDC). Unfortunately, poor sleep and stress can be a vicious cycle: feeling stressed out during the day can cause you to toss and turn at night, then feel tired and even more stressed the following day. A 2010 study from the Clayton Sleep Institute in St. Louis, Mo., showed that people with chronic stress reported shorter sleep duration and worse sleep quality. The researchers also found that individuals who slept less were more likely to report feeling more stress. Psychotherapy, also known as talk therapy, is often used as a stress management tool to ease symptoms of stress and anxiety. In talk therapy, patients and psychotherapists discuss the patient's problems and work together to correct negative or distorted thinking patterns. There are various types of talk therapy treatments, such as cognitive behavioral therapy (CBT), dialectical behavior therapy (DBT) and group therapy, but what they all have in common is that they aim to help patients deal with their negative thoughts or feelings and make positive changes to better deal with daily stress. One reason exercise is so good at relieving stress is because it reduces cortisol levels. Cortisol is a hormone released from the adrenal gland in times of stress, such as when you feel anxiety, anger or fear. Chronically elevated cortisol levels ultimately inflame and can even damage organs. Exercise burns cortisol, and thereby makes us healthier and happier, Debbie Mandel, author of "Turn On Your Inner Light: Fitness for Body, Mind and Soul" (Busy Bee Group, 2003), told LiveScience. Exercise also stimulates the brain's pituitary gland to release endorphins, which are neurotransmitters that have naturally feel-good effects. The CDC recommends doing muscle-strengthening activities that work all the major muscle groups (legs, hips, back, abdomen, chest, shoulders and arms) two or more days a week, as well as at least 2 hours and 30 minutes of moderate-intensity aerobic activity, such as speed-walking, every week. 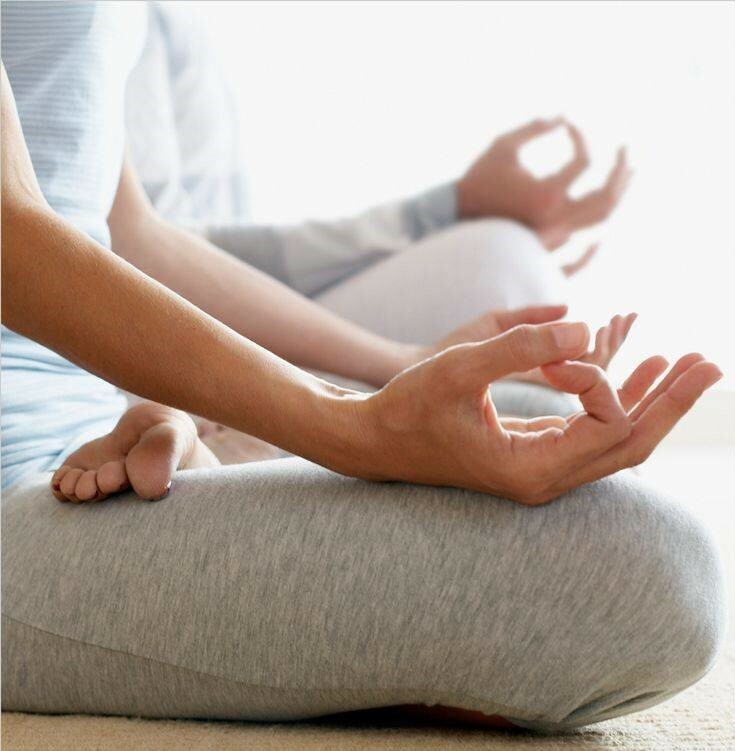 Numerous studies have shown the positive benefits of meditation, which include soothing stress, decreasing blood pressure, easing feelings of pain and even preventing relapses in patients with depression. For example, a 2008 study from Emory University in Atlanta showed that Zen meditation, which encourages mental awareness and control of one's thoughts while focusing on breathing, could treat disorders marked by distracting thoughts, such as attention deficit and hyperactivity disorder. There are many different meditation techniques, so don't think that you're required to sit cross-legged and hum a mantra to de-stress. 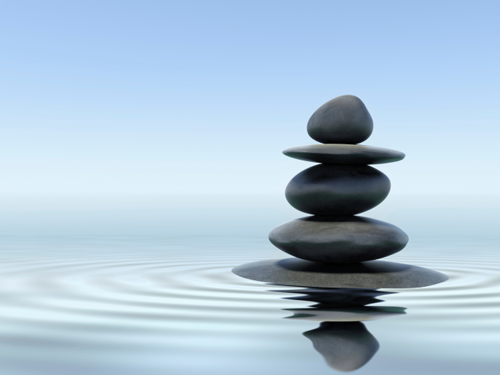 Some meditation styles focus on clearing one's mind, while others encourage visualizing healing or calming imagery or thinking kind thoughts towards oneself and others. Those with physical limitations can also meditate while sitting in a chair or even lying down.